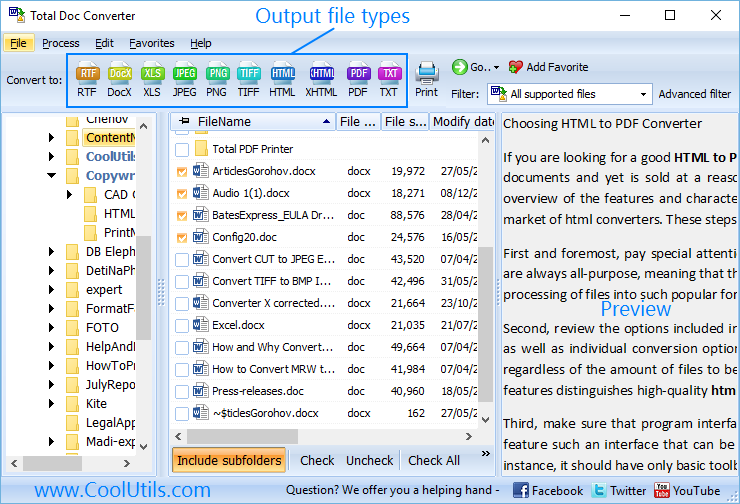 The best way to convert a DOC file to PDF fast is to use Online Doc Converter from CoolUtils. It allows to convert DOC to PDF free of charge, converting one document per time. The service produces the exact copy of DOC original file. It even downloads result file automatically, opening PDF copy on your computer. This is a great tool, if you don't want to have a software converter on your computer. It is a free DOC PDF converter that doesn't require registration, installation and adjustments. 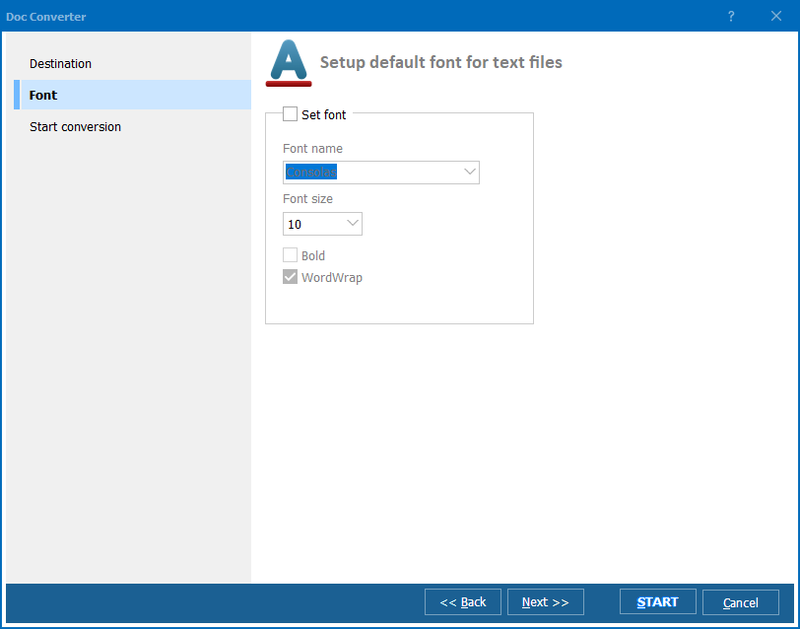 It is a light version of the desktop Total Doc Converter that converts DOC (Word) files to: PDF, XLS, TXT, DOC, TIFF, JPEG. The process is fully automatic. After specifying the source file and target format it outputs a ready-made converted copy, suitable for further use. The size of uploaded DOC original supported by this online Doc Converter is limited to 10 MB. The service will not convert bigger documents. 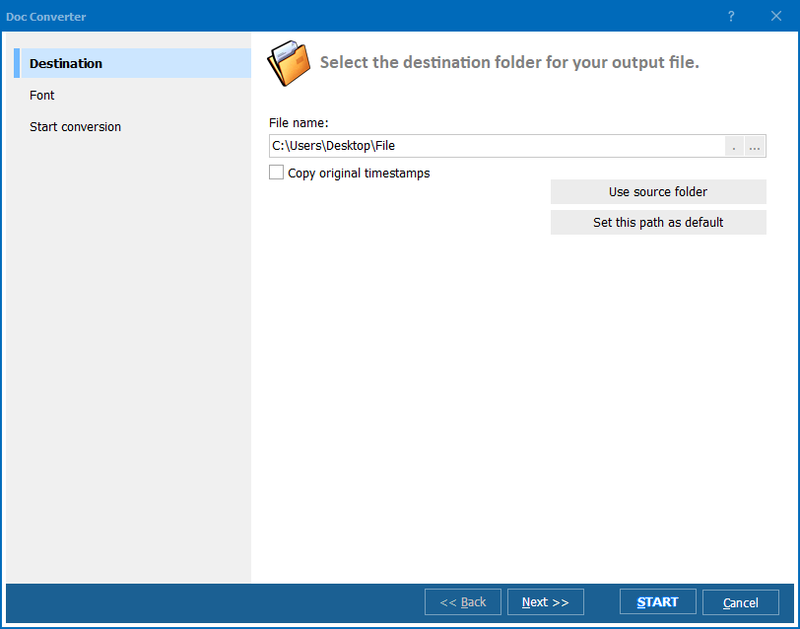 If your source file is bigger, you can either split it into a few parts and convert to PDF separately, or download and install the desktop Total Doc Converter that has no limits in file size. The desktop version also has no limits in the number of documents converted in one batch. You can convert thousands of DOC files together, and even combine them into one multi-page PDF. Online free Doc converter doe snot offer this functionality. Using it you are able to convert only one file per time. In desktop version more target formats are supported, such as DocX, RTF, DocM, etc. All you need for online conversion is to set a location of the source document. You need to set its location, choose PDF as a format for conversion and that's all! It is comfortable to convert DOC online, as you can do this from any device connected to the internet. It's a useful alternative to desktop converter.